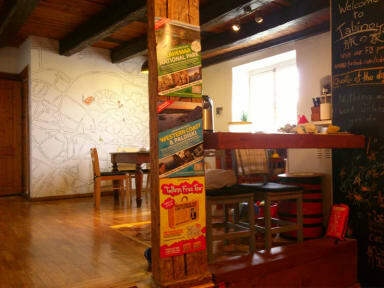 Nice hostel at a great location in Tallinn. The staff was super nice and helpful. I really enjoyed my stay at this hostel. It's small and cozy. The staff are very friendly and welcoming. The kitchen is well equipped. 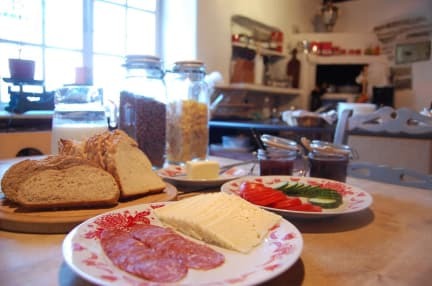 The hostel provides free breakfast and coffee and tea, which makes for nice social mornings with other travelers. The 8 bed dorm was clean and spacious. Fully recommend! A really great hostel! The whole building was charming and cozy, especially the room in the attic! The bed was one of the most comfortable ones I've ever slept in in a hostel and the bottom bunks even had little curtains for privacy! The atmosphere in the hostel was friendly and homely. The staff was super nice and helpful - I seldomly get a whole introduction to the city with an explanation of all interesting sights without even asking! Overall top experience! My sister and I really liked it here. Easy to find, simple enough to get around. Met some really neat people, including the owner. Enjoyed breakfast together. The only complaint is that our bathroom was a tiny bit dank, but that might have just been the musty bath mat. Easy enough fix. The rest of the place was plenty clean. We ended up switching from a one night stay to two because we liked the hostel so much. A cute little hostel. Staff was friendly, if a little quiet. My first two nights, it was only me and one other boy in the eight bed mixed dorm. A few others joined on my last night, but everybody kind of kept to themselves. Location was amazing - right in the center of it all, next to a bunch of great restaurants and sights. Bus station was a 5-7 minute walk. Free breakfast and equipped kitchen was nice. Cozy beds. Would stay here again! Fantastic location. Super friendly, helpful, knowledgeable staff. A special thanks to Dario. Very helpful staff and great location! Easy access to the city center, train station, and Telleviski! Even though staff are pretty amazing the atmosphere of the hostel is dissapointing. Location in superb though right in the heart of the city, next to supermarket. Not easily seen from the road as there is only one dark label on the building, be careful otherwise you can end up going up and down the street looking for it.